Springtime has arrived in Atlanta! Easter is this Sunday, March 27th. It should be gorgeous early spring weather for the holiday. There are many Easter events taking place in the Atlanta area this weekend including family brunches and dinners, egg hunts and attending church services. Welcome Easter with spectacular views at Stone Mountain Park. The park hosts two simultaneous, non-denominational sunrise services: one at the top of the mountain and the other at the base of the mountain on the Memorial Lawn. Thousands of people attend the services every year. The park gates open at 4 am with the service starting at 7 am. Callaway Gardens, just a few short hours outside of Atlanta, will once again have their annual Easter Weekend festivities. Families of all ages can enjoy the Easter sunrise service at Callaway Gardens and then join in the Easter egg hunt and festival with candy-filled Easter eggs, entertainment, pictures with the Easter Bunny and more. The festivities kick off on Saturday, March 26th with a kid’s fun run and a 5K. There will be entertainment and tethered hot-air balloon rides for an additional fee all weekend. The Atlanta area has many fun family activities to celebrate Easter weekend from simple egg hunts for young and old to egg drops with thousands of pieces of candy! Find out when and where they are located below. Callanwold Fine Arts Center will have the annual egg hunt, “Eggstravaganza”, on Saturday, March 26th starting at 11:15 am. There will be thousands of candy-filled eggs to find on the grounds, carnival rides, face painting, along with arts and crafts for the entire family. If you are looking for a unique Easter egg hunt, look no further than the North East Cobb Community Egg Drop that takes place at Sprayberry High School in Marietta, Georgia on Saturday, March 26th. A helicopter drops over 5,000 chocolate eggs and 100,000 pieces of candy at the stadium of the school. Last year, over 25,000 people attended the egg hunt. There will be egg hunts for children three and under, carnival rides, kid zones, games, photos with the Easter Bunny and other family activities. Fair Oaks Recreation Center in Marietta will sponsor, Eggtravaganza, a unique Easter Egg Hunt in the dark on Saturday, March 26th with events starting at 6:15 pm. There will be an evening egg hunt (bring a flashlight! ), live entertainment, inflatables, family arts and crafts, food truck vendor and much more. The city of Forsyth has the Taste of Forsyth and Easter Egg Hunt on Saturday, March 26th from 11 am to 5 pm at the Cummings Fairgrounds. More than 25 area restaurants will participate in the festivities. The egg hunts will start at 11:30 am for those three and under, and go throughout the early afternoon for children up to 10 years old. Admission is free to the events, but food samples can cost from $1 to $4. Churches and other community organizations in Decatur, Jonesboro and Stockbridge are hosting various Easter festivals and activities for the Easter holiday weekend. In the Stockbridge area, there will be an “Eggciting Egg Hunt” at Panola Mountain State Park on Saturday, March 26th at 10 am. The egg hunt will be split between three age groups: 2-year-olds and younger, 3-6 years old and 7-12. . The eggs will be hidden in nature trails throughout the park. There will also be face painting, storytelling and other family activities at the park. As the weather begins to warm and spring cleaning projects start to demand attention, it is a perfect time to move winter items into your self-storage unit and bring out the spring and summer items. Storage World has three Atlanta self-storage locations that can serve all of your storage needs from residential to business. 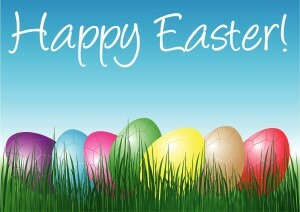 No matter how you celebrate the holiday, Storage World wishes you and your family a wonderful Easter!